The Enforcement Guidance for Personal Protective Equipment in General Industry was recently released by the Occupational Safety and Health Administration (OSHA). The new guidelines went into effect February 10th. This directive provides inspectors with instructions for deciding if employers have complied with OSHA standards regarding personal protective equipment (PPE). Our Massachusetts workers’ compensation lawyers frequently report about the importance of the use and access to personal protective equipment in the workplace. Back in November 2007, OSHA issued a final rule on ‘Employer Payment for Personal Protective Equipment’. General industry, marine terminals, construction, longshoring and shipyard employers are required by this rule to provide, at no cost to the employee, most types of required personal protective equipment. This new directive, Enforcement Guidance for Personal Protective Equipment in General Industry, replaces the very outdated (June 1995) directive, Inspection Guidelines for 29 CFR 1910 Subpart I, the revised Personal Protective Equipment Standards for General Industry. The main points to the new directive is to clarify when employers have to pay or not pay for PPE and clarify the type of PPE the employer must provide. -Hard hats, fall protection, ladder safety belts. -Medical/laboratory workers: lab coats, aprons, gloves, shoe covers, goggles. -Uniforms used only to identify a person as an employee. -Hairnets and gloves used during food preparation. A complete list of items can be found in the Enforcement Guidance for Personal Protective Equipment in General Industry directive. 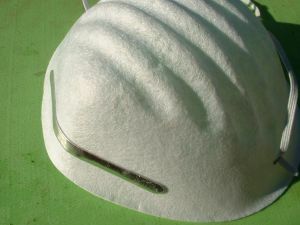 Employers are required to train employees that have to wear personal protective equipment on how to: use the equipment properly, know when and what kind of personal protective equipment to use, understand that personal protective equipment has limitations, clean and maintain protective equipment properly, and demonstrate how to put on, fine-tune, wear, and remove personal protective equipment. If you have been injured on the job contact the Law Offices of Jeffrey S. Glassman for legal assistance. Call today for a free and confidential appointment to discuss your rights at 1-877-617-5333.